Julia Mackay-Koelen found therapy in trail running after being diagnosed with breast cancer in 2015. Image – Dennis Tan/Paparazzi on the Run. For 57-year-old Julia Mackay-Koelen, it could very well be said that finding her footing with good old-fashioned trail running may have been her saving grace. Stirling (WA) resident Mackay-Koelen was no stranger to road running back in the 1980s when she was at university, and kept at it until her daughter Soraya was born in 1993, after which she decided to do more walking instead. When son Quinn was born a few years later, Mackay-Koelen continued with the walking and never contemplated returning to running until a colleague suggested she try entering a trail run race hosted by the Perth Trail Series a couple years ago. Since then she has become an active member of the PTS community, entering as many races as possible and even finishing her first full marathon in 2013. In May 2015, she was diagnosed with grade one breast cancer, and went under the knife soon after but not more than a few weeks later, stood at the start line of the PTS’s Eaglet and Bub 10kms trail race (June 2015) and finished it in 1:20:34. 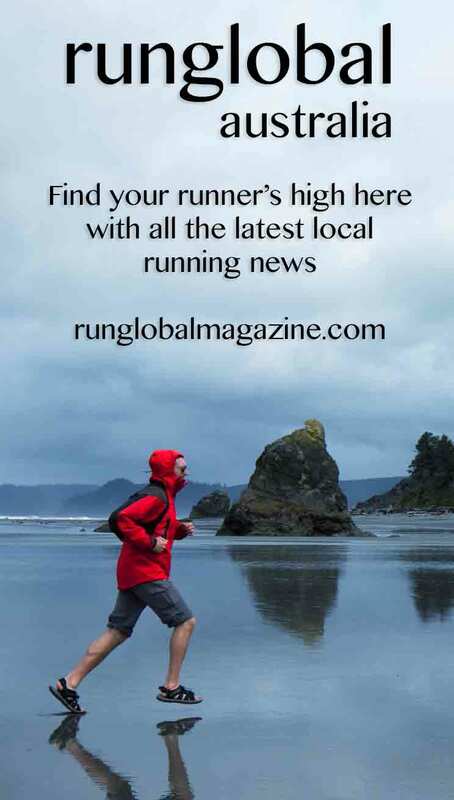 “I ran Eaglet and Bub three weeks after surgery because I simply wanted to, and I felt fine!” she tells Runglobal. “I found the PTS family critical after my cancer diagnosis – finishing the race and all the hugs I got from people was a significant part of my recovery. “When I crossed the finish line I collapsed and burst into tears. “I had a man come and talk to me afterwards after he found out what I’d been through and he said his wife had been diagnosed with breast cancer the year before and she had gotten straight back into running as soon as possible. Since then Mackay-Koelen has been an active runner in the trail racing community, and says it’s important to keep positive when faced through trials and tribulations. “I had my ovaries removed in mid-January this year as a preventative measure due to the link between breast and ovarian cancer, and did a trail race as well as a triathlon a week later,” she explains. “I can’t imagine not being part of my running tribe. “I think it’s exhilarating trying anything new, putting yourself out there and seeing what you’re capable of can be very empowering. She also reveals the ‘zing’ she gets when running down dry water beds, crossing little creeks and climbing over boulders. “I am a better, stronger runner because of my trail running so I guess this could encourage road runners to try out a different type of racing,” she says.